Labels - Tharo Systems, Inc. Labels - Tharo Systems, Inc.
Get a Label Quote Now! 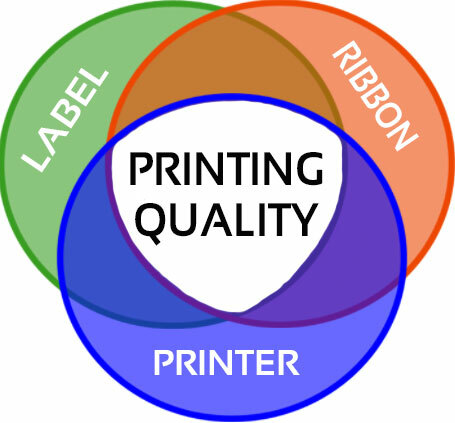 Tharo Systems provides label and ribbon matching services free of charge to Tharo Rresellers. Tharo provides this service to aid our resellers in choosing the correct ribbon formulation for the label stock they are using. Factors such as durability, image quality, and application characteristics are taken into account when finding the best label and ribbon match. 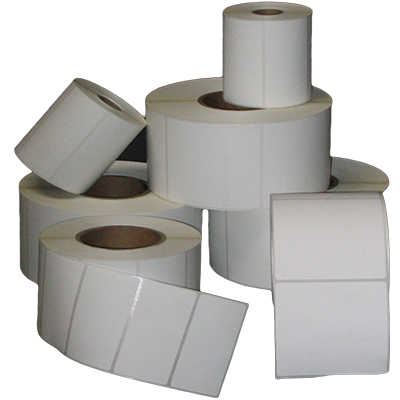 All label material is tested using the DNP line of thermal transfer ribbons. All results are determined using Tharo Systems line of Thermal Transfer Printers. End user’s should contact Tharo Systems for a local reseller to work with when matching is required. Please contact Michael for further information on this free service. Tharo Systems carries a complete line of labels. Tharo Systems’ labels are a premium coated, ultra smooth thermal transfer label stock, suitable for most retail and industrial applications, with excellent ink receptivity. The bright white matte finish provides a dense, smudge resistant face sheet for excellent imaging properties. The label stock features a general purpose, all temperature permanent acrylic adhesive with a good initial tack and excellent ultimate adhesion to corrugated and plastics. Suitable for general purpose indoor labeling applications under almost any lighting conditions. Excellent print quality for alphanumeric, bar codes and graphics. Labeling for most surfaces, including paper, corrugated containers, folding cartons, glass, metal, and some plastics. Tharo Labels are only available through Tharo Resellers. If you would like to receive information about Tharo Systems’ labels from one of our Resellers, please contact us.